Things are not always what they seem. Often we make assumptions, only to find out in the end we are wrong. This entire portion points out that we have to be careful about jumping to conclusions. 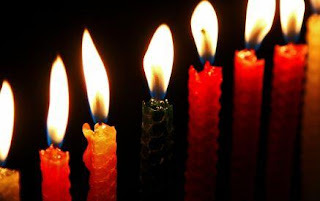 We can additionally ask ourselves, what is the connection between Hannukah and this week’s Torah portion? The context for this week’s parasha is actually set up in last week’s portion, in Vayeshev. It is full of assumptions. Frustrated with their annoying little brother, the ten eldest sons of Jacob decided their brother would never really amount to anything, and that “getting rid of him” would never come back to haunt them. Joseph, although innocent, was also assumed to be in the wrong when accused by Potifer’s wife of trying to seduce her and he was thrown in prison. And although it was assumed the baker and cupbearer would remember Joseph, that was not the case, and Joseph continued to remain in prison. Turning to this week’s portion, Mikketz, Pharaoh had a dream that was assumed to be impossible to interpret. However, with the help of G-d, Joseph interpreted the difficult vision, and in the end was appointed the greatest leader in all of Egypt, save Pharaoh himself. Some assumed Joseph to be just some cocky and arrogant little kid. But Joseph turned out to be Egypt’s greatest savior, and an official with limitless power over the future of a generation. The Hannukah story is also full of assumptions. It was impossible to imagine that a small group of poorly prepared Jewish farmers would be able to overcome a well prepared army of Greeks, or envision the recapture of Jerusalem and the rededication of the Temple. No one believed that a small amount of oil used to re-light the Temple Menorah would burn for an entire eight days. However, each of these assumptions were proven false. This truly is the season of miracles. Things are not always what they seem. A small amount of oil, or an ill-considered younger brother, both of whom were thought of as never amounting to anything, could just as well turn out to change the world! This entry was posted in Uncategorized and tagged Hanukkah, Pieces of Parasha, torah. Bookmark the permalink. Interesting post. Mikketz happens to be my Torah portion. I always learn something new from the passage when I read it. But, I had not looked at it though this lens before. Powerful! Dido Dav, also timely, when a number of people need to see their circumstances in a different light of faith and hope at this time. Instead of assuming what may seam to be the obvious up-front; look to what HaShem has waiting in His plans and purpose. And as Yosef did, with his boots(of Shalom) on the ground, keeped keeping on, looking to the author and finisher of his faith. Thanks again for a good post Reb Josh and Monique. May The Light of Chanukkah fill your world!